Welcome to Swing Set Factory! Prepare for your Olympic Debute on the Olympic Flame Bounce and Slide! 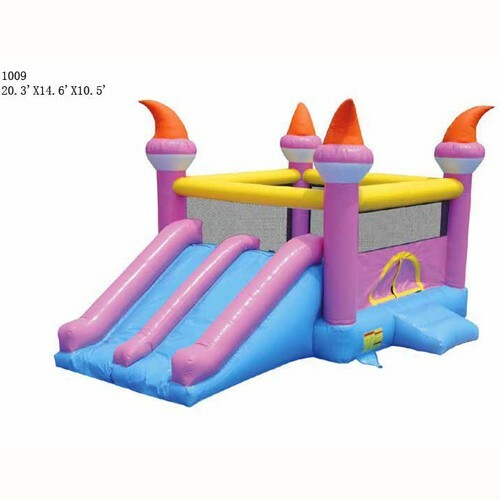 The Olympic Flame Bounce and Slide with a double slide is a great unit for your rental business, Church, or just to own with a few friends or neighbors. SwingSetFactory.com is an online kids play set and swing set accessories retail store that is all about kids. We strive to promote unique play structures that get kids active with exercise and imagination. We guarantee all of our products against manufacturer defects. Our goal is 100% satisfaction from our customers. We continue to grow thanks to your support and loyalty. Our continually expanding product lines will focus on long lasting play equipment that brings value to you and your kids.